Accurate and cost effective method of spraying crops, fertiliser application or topdressing for the agricultural sector. Reducing filtration into waterways and surrounding areas with precision aerial application. Our helicopters are fitted with specialist equipment that allows us to lift heavy loads including construction material, timber, concrete and metal. 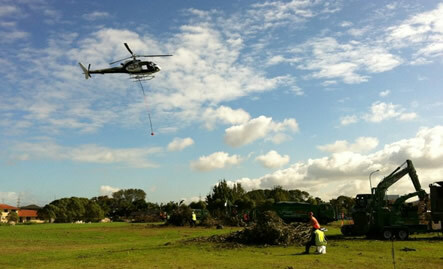 Helicopter lifting is a great option if you’re working on hard to access or remote locations. 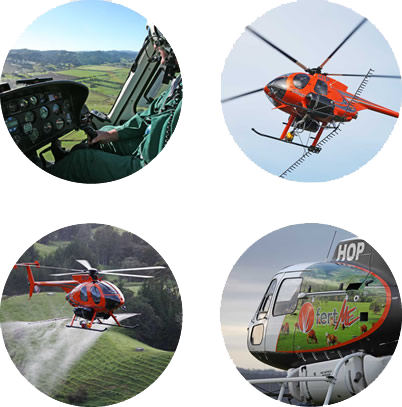 Helisika Agricultural LTD is based at Ardmore Airport in Papakura, South Auckland with a large hanger to house all the equipment and aircrafts. 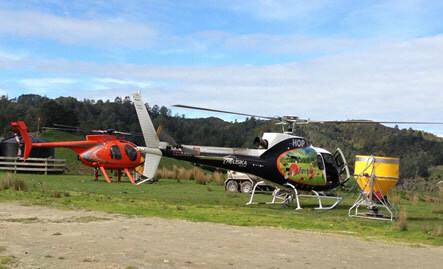 Specialising in agricultural spraying and fertiliser spreading for farmers and crop growers from North Waikato, Auckland and up to the Northland. A cost effective alternative for agricultural farmers and commercial operators, with a high standard of gear and equipment for wide range of operations. Experienced pilots with 20 years in the industry with over 10,000hrs experience helicopter flying with all the necessary licenses and certifications. Experience in lifting in confined spaces, moving farming equipment and construction materials for commercial or domestic uses. The entire fleet are equipped with specialised Global Positioning Satellite (GPS) technology for accurate results. 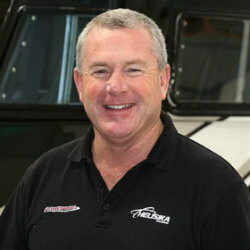 All machinery, vehicles, trailers and auxiliary equipment are regularly maintained, fully licensed and registered.